The vote directs the the GC Investment Committee to terminate all "investments in ABC stores and snack cake outlets close to Adventist colleges that stubbornly cling to policies that place Nutty Bars dangerously close to cash registers and thus make it ever so easy to grab one or two or seven of those fattening parcels of deliciousness on rushed Friday afternoon shopping trips." 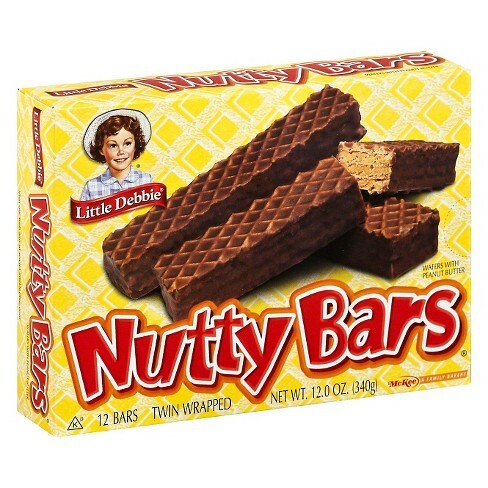 The vote comes after a February appeal by a number of union presidents which called on the GC to stop investing in Nutty Bars after the discovery that it not only owned shares in the insanely tempting treats but made absolutely no effort to hide the fact that every third floor GC office had boxes of the "Adventist crack" stashed in their pantries. The GC treasury has released a statement saying that "although the decision by the GC Investment Board is going to make snack breaks a lot less interesting in Silver Spring, we guess we'll have to go along with this since we wish to avoid a visit from the Unity Oversight Committee." This is a yooooge mistake to eliminate any Little Debbie product from the GC investment portfolio. Instead, get rid of the Kellogg’s stocks because of John Kellogg’s pantheistic beliefs. In the meantime, I will still support Little Debbies. How can you not love something sweet?